The property was perfect for our families and was elegantly appointed. Thank you for a great stay! This property was perfect for our group of 10. We were pleasantly surprised at how spacious it was. 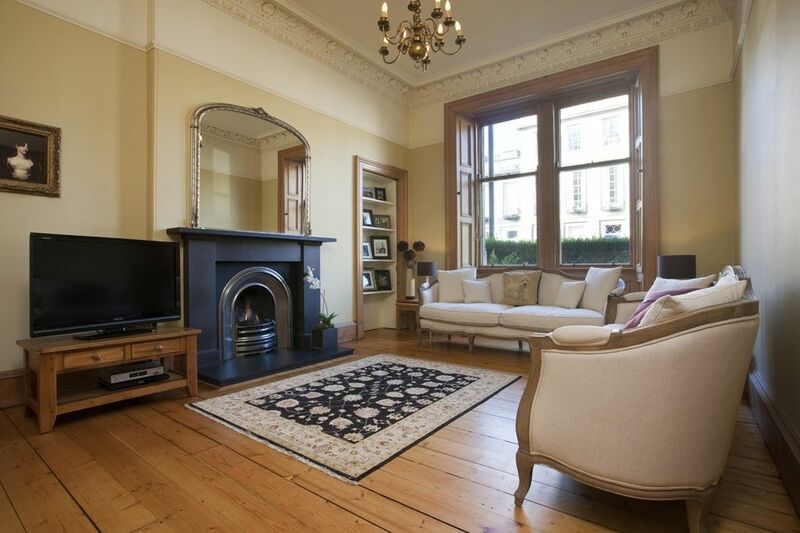 It's in a great location; easy walk from Waverly Station and plenty of dining options just a short walk from it. The apartment was spotless , well maintained, stocked and was ready for us at check-in; beds were setup exactly as requested, clean and crisp sheets and plenty of towels. Richard was extremely helpful; answered all our questions and was always prompt in responding to our queries. The entire process of booking, check-in/check out was very smooth. Edinburgh is a beautiful place; so much character and history all around- our family's favorite. Lovely property which was great to hold an 80th birthday celebration. Very clean and well equipped, easy central location. Weekend stays are generally a minimum of 3 nights except for last minute availability Exceptions are bank holiday, school holiday, rugby international weekends and other special events. Discounts are available for some stays of 3 days or more via our live on line booking system, 25% deposit payable, follow the link to owners website, please click for more information, at the bottom of the page for live pricing, availability and booking. Rates are fully inclusive, no extras will be charged.